We've survived days 3 and 4 at the hospital and are now ready to make the long trek home tomorrow. We are still waiting on blood test results that won't be back for almost 2 weeks yet. We also don't have the EEG results since it was done after our final consultation, but we will get those through a phone call. 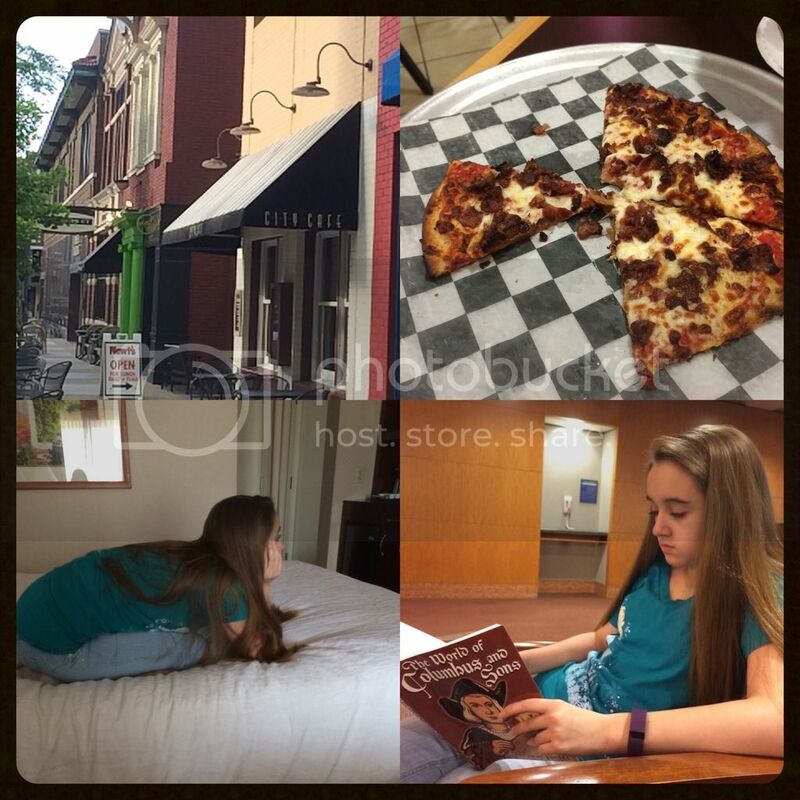 Downtown Rochester, gluten free pizza, watching the Hobbit during a break, waiting for autonomic testing while reading for history. Wednesday was a fairly easy day, comparibly. Amber only had autonomic testing, all of which we had already done at home. These were just Mayo wanting it done in their labs to ensure it was done properly. They verified everything from the earlier tests. 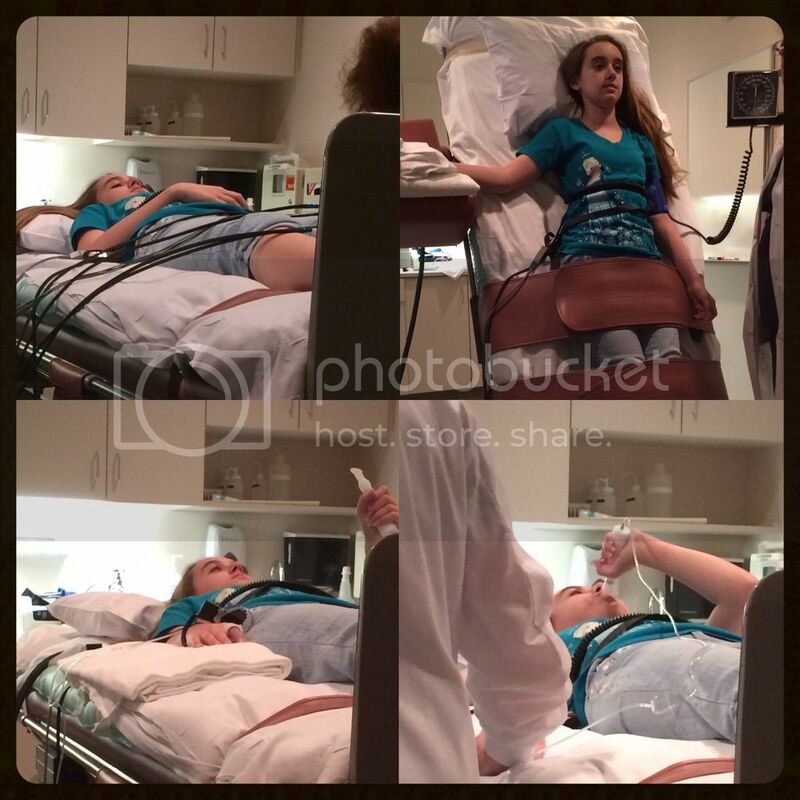 Amber was exhausted after the tilt table test because it induced tachycardia and low blood pressure. The valsalva maneuver also made her heart do some fun tricks. But she wasn't the same type of tired as after the exercise test on Tuesday. Autonomic testing. Sweat test, valsava maneuver, tilt table test. Today we had a freakishly early morning to meet with a nurse on how to deal with dysautonomia. Many people come without any diagnosis and Mayo helps them learn how to improve their quality life after a new diagnosis. 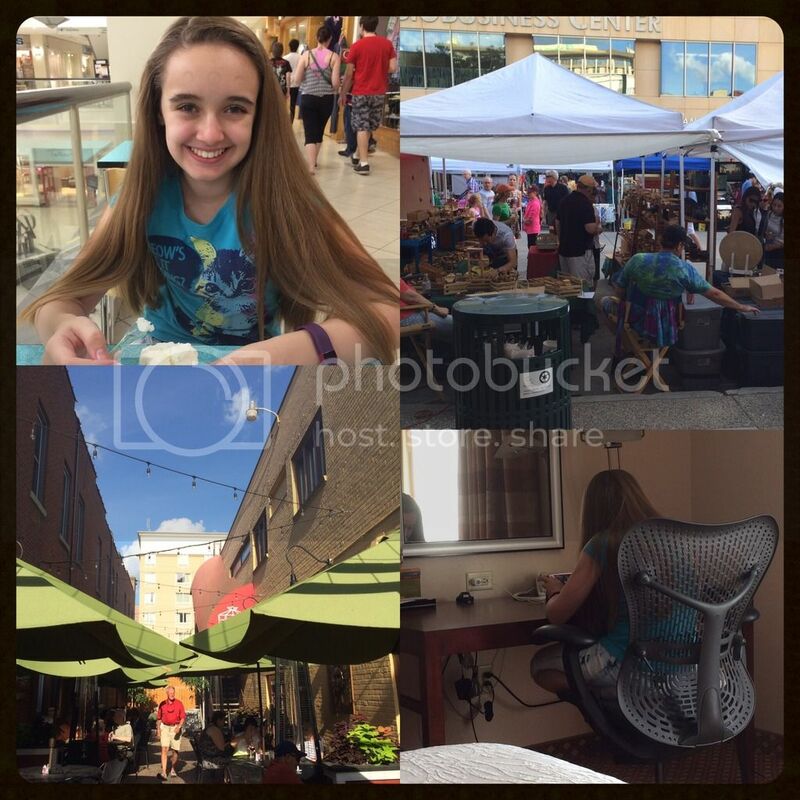 Amber already had a dysautonomia diagnosis when we arrived and we knew most of the information given, but it was a nice appointment and we did learn a little new information. Most importantly we have the latest research on types of needed exercise and confirmation that saline infusions are not the way to go. We also have even more confidence in our local doctor. He has been right so far. The nurse at the first appointment even took his name so she can start recommending him for people who need an autonomic doctor in our area. 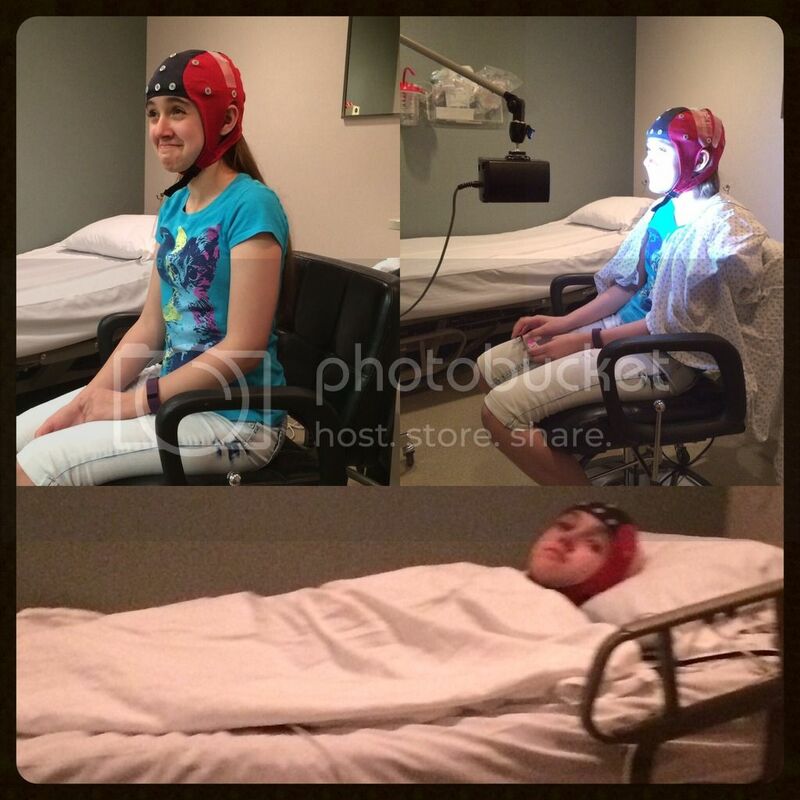 The very early morning worked out since they wanted Amber sleep deprived for the EEG in order for her to be able to sleep during the test. It all went fine and we are cleared to go home. Celebratory gelato, street fair "Thursdays on First", Newt's; our favorite restaurant in Rochester, playing a Star Wars game waiting to go home. Mayo hasn't yet found a definitive cause of Amber's dysautonomia. Even if it comes back autoimmune, they don't recommend IVIG for patients this young. She would wait on that if an autoimmune disease is found to be the cause. This answer was a big reason we came and we appreciate the guidance for the local neurologist. The exercise test showed Amber's ability to oxygenate her blood is pretty pathetic. She apparently works hard to do it, which contributes to her problems. She is also suddenly deficient in several vitamins, with high glucose and high cholesterol. Those were all fine 6 months ago, so this is a bit unsettling. We already have an appointment at home with Amber's regular dietician a few days after returning. No rest for the weary hospital visitors. The Mayo doctor has also changed up Amber's medication by replacing everything with a single beta blocker. We might add the vasopressor back in if the beta blocker drops her blood pressure too much. Besides life style education, of which we already knew, that's about it from our visit. But we did get good advice and no longer feel like we are floundering. We're off in the morning for the long drive home. It's rained in Missouri almost nonstop since we left, and is now flooding everywhere. Of course thanks to the tropical storm moving inland and up into the Midwest, the rain isn't over yet which will make it an interesting drive. We learned a lot on this trip and are glad we came, but it wasn't all that we expected either. We've still got a bunch of follow up to do at home with all of Amber's specialists. I am glad that you got support and some answers. It is wonderful to know that your at home doctor is a good support. Safe travels. Thanks! We made it home. It was a sunny drive until right before St. Louis. It rained at home every day we were gone. If my timezone calculations are right, you are still on the road as I write this, so safe travels. I am confident they will find the answers. We made it home even with a flood detour. Now to sort through everything. I'll bet you're glad that's over with! It sounds grueling but definitely worth the trip! Just confirming that your local doctor knows what he's doing must make you feel a lot better. Why the EEG? Are you suspecting Amber is also having seizures? I certainly hope not. Bethany was just put on BP medication for aggression. I'm hoping it helps. I'll continue to be praying for you guys. Glad you made it back home safely!! We are home. It was an ordeal because 20 minutes from home the highway was closed due to flooding. The detour took an hour. Anyway, I got a call partway into Iowa that Amber's EEG was normal. They always run an EEG on kids with syncope episodes. Just to be sure they aren't missing any possible seizures. Amber's meds were also changed over that phone call. They are keeping the beta blocker just prescribed but adding the vasopressor back in. Upon review they decided her bp was a little too low to use a beta blocker alone. It's always eventful. Thanks for the prayers. We are happy to be home! I'm glad the EEG was normal! What a week! You girls are troopers! Amber looks like she took all those tests in stride. I'm not sure how I would do...Glad you got in some fun too! I've just been catching up on all your posts. So glad you are both home safe and sound. What are your hopes now in terms of the next step? -or is it now a case of waiting until Amber is older (re it being autoimmune?). Will the change in medication bring about a change in Amber's symptoms? Is there anything specific we can pray about over here in the UK? Next step, is we see Amber's neurologist at home on Thursday and he will let us know his feelings for future treatment. Unless we plan to go to Mayo yearly, we need to actually go with the local doctor's treatment plan. However, he has been correct and I assume will agree with the small tweak's Mayo has made. We hope the addition of the beta blocker will lower Amber's heart rate and increase her energy. Also we're hoping the slower heart rate will make her feel better all around. We also see the dietician this week to address those wacky numbers that weren't there 6 months ago. Mayo surprisingly isn't a motility location, so the requested motility study did not happen. The local GI doctor now has to decide if she will run one or if she will go on the assumption Amber has dysmotility instead of slow motility. Now that we are back I have to contact that doctor too. We greatly appreciate your prayers and are just hoping for good symptom management with better day-to-day health. We are so happy to know this is the right track for now. I am glad to know that Amber made it through all her tests okay and that you will soon get the answer you need most, what is causing it? I pray all the time for Amber.... will continue to do so. I hope that all the tests come out good and that soon, Amber can rest from the visits for awhile and that you can rest easy with having answer and not having to wonder anymore. Hope you girls had a safe trip back home. Thinking about you.